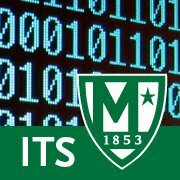 During last week's back-to-back weather events, some folks reported seeing an older "weather alert" message on the college's home page: www.manhattan.edu. To add to user confusion, the alert did not contain the date. The "weather alert" messages were actually being updated and expired as intended, and were in sync with those sent out by the college via the e2Campus system. The display of older "unrefreshed" web page content being seen by some users was a result of either server or browser caching, a technique typically used for web pages whose content changes very infrequently. With caching, page contents are usually saved somewhere, and then delivered quickly to a user's browser when requested. And because the page content is not expected to change frequently, a user's browser does not need to frequently check to see if there are updates. Caching makes subsequent visits to the same website or webpage faster for users, and can also dramatically improve server performance. If a website or webpage has been updated since your last visit, however, your browser should see the update and then load the new content instead of the old cached content. In some cases, this doesn't work as expected and your browser displays the old information instead - as experienced by some users last week. After users reported this issue, ITS implemented a fix on the server side such that a user's browser now will check every 5 minutes to see if there is any new content on a webpage. This may decrease server performance a bit for web content editors, but should not in general impact users viewing the website. Content editors, if severely impacted, should report the issue so that we may fine-tune. In addition, the character limit for the alert message was increased, ensuring that there is space to include sufficient message details. Perhaps this fix can be tested during the next weather event? We await your feedback!